A number of years ago, I sat down for my first lecture within the advertising and public relations degree programme – Principles of Communication. I remember looking at a model that outlined the fundamental process and thinking to myself, ‘well that’s kind of obvious, isn’t it?’ But hardly a week goes by that I’m not asked by a client to help them develop a multichannel strategy for their brand. The funny thing though, is that no matter how I break it down, the problem is always the same: how do we communicate a message? So, in honour of the New Year, here’s a lean look at 5 principles of multichannel marketing – trimmed down to the basics with no added BS. Ever tried to tell a story to someone who doesn’t share the same frame of reference, interests, sense of humour, or language? Frustrating. Now try to tell the same story to that person via a communications channel such as email, text, phone, etc. Unmitigated disaster. The perils of interpersonal communication are magnified when encoded and decoded via channels, so invest time up front to walk a mile in their shoes. What makes them tick? What frustrates them? What makes them laugh? Who do they admire? What language do they understand the best? Where do they find inspiration? Hold focus groups. Shadow them during their day. Conduct a survey. Stop them on the street. Pick up the phone. Get out of your office and talk to them. Are your customers all pretty similar or would you speak to them slightly differently if you were talking face-to-face? Segment accordingly, but keep it simple, manageable and real. Audience personas: try building personas of your main audiences that outline their unique needs and goals. A core principle in digital planning is to go where your audiences are already engaging and then adding value in those spaces. Multichannel marketing is no different. Conduct research, purchase reports on audience behaviours, stress test your existing communications to see what time of day, day of the week, and format gets the best response. Evaluate, reiterate, and try again. Look for opportunities to add value to their existing experience. Look to find moments where other brands are not operating. Experience mapping: visualise your customer journey to uncover opportunities, missed touchpoints, potential frustrations, influences & channel behaviours. It’s much too easy to hit delete, unsubscribe, hang up the phone, shut our office doors – we don’t need much prompting to disregard a brand message. So craft each message with a do or die attitude: make it so good your audience just can’t ignore, or else risk reception of all future communications. How do you make your message count? Start from the understanding that your audience is not interested, does not have time and may not even like you. What now? Surprise them. Reward them. Entertain them. Inform them. Help them. Understand that you need to strike a balance between what you want to say and what they want to hear. Then deliver it in a way that leaves them smiling, interested, ready to click or look for more. Build for your channel: different rules apply depending on the context of the message. Develop your communication for each channel specifically. Intercept testing: show the ad to your mother, your child, a co-worker down the hall. Do their eyes glaze over or do they ask questions? – and give your message more time, more impressions, and more opportunities than you think it will take.Multichannel marketing gives you the opportunity to increase your message frequency and repetition across numerous channels and formats. So keep this in mind from the outset and use it to your advantage. Remember that communications model? It relied upon a feedback loop from the receiver back to the sender. Nowadays we can gather all manner of feedback, from clicks, to views, to website usage, to app downloads. The new screens in Piccadilly Circus can even read pedestrians’ moods. Crazy. But whether you’re looking for big data, small data, or whatever you want to call it, just make sure it’s the right data. Don’t collect the mood of pedestrians unless it’s going to inform the creative displayed. Don’t judge your ad on the basis of clicks if it’s designed for awareness. It’s overwhelming and unimportant. So bring your ‘data’ person into your core brand team. Understand your customer’s data journey with the same level of attention you pay to their brand experience. Consolidate that data and distil it down to give you the insights you need to personalise communications and inform business decisions. Data can actually pretty damn cool (and empowering) if you play along. Map your data ecosystem: Understand your data journey – at a customer level and corporate level – to make sure you’re collecting the right information at the right time and using it appropriately. Dashboards: Build data dashboards based on your KPIs and business objectives. They can be a tremendous resource for assessing performance and trends. Back to that continuous client request – how do we design a multichannel marketing strategy? Use the principles above and start small. Take the first steps to understand your audiences beyond your brand. Develop a few starter personas and adapt them as you go. Concentrate on creating a few really, really good pieces of content that are just right for the channel. Try them. Refine them. Try again. Understand your data ecosystem and collect what you need. Then use it. Let it inform your next round of content, your timings, your channels, your distribution. It’s just the same old principles of communication – with more opportunities to learn, explore, and have a bit of fun. 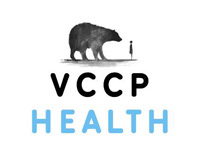 For more information about VCCP Health’s approach to multichannel marketing, including audience personas & experience mapping contact Beverley Newbury, MD (beverleyn@vccp.com, +44 7595 003 744).